Members of CSHL, the Christina Renna Foundation, and the Lindenhurst Rotary Club packing sheets to be sent to UVBH. 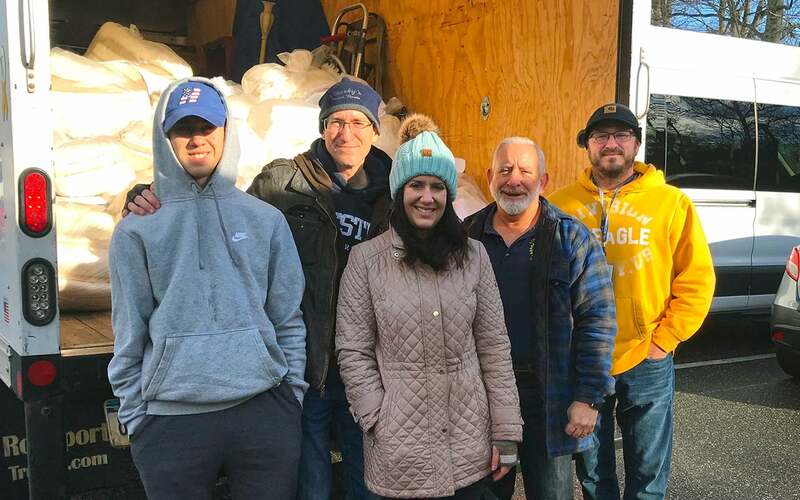 Cold Spring Harbor Laboratory (CSHL) donated 75 bags of sheets to local non-profit United Veterans Beacon House (UVBH) on December 23, 2018. The donation was made in collaboration with two other local organizations, the Lindenhurst Rotary Club and the Christina Renna Foundation. UVBH serves veterans across Long Island, providing shelters, counseling, case management, transportation, and other services to over 550 residents in 36 different locations each year. CSHL’s donated sheets were distributed to veterans living both in and outside of UVBH shelters, in advance of the Christmas and New Year’s holidays.